If you’re looking to keep your data secure and your internet use private, without spending a premium, you’ll need the best cheap VPN service available. With this guide, you should have all you need to start your search. 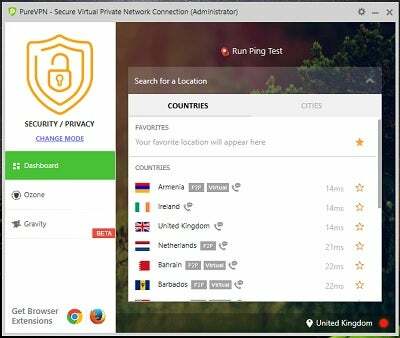 You can spend under $3 per month and get a great VPN service. Our thorough testing has revealed the best VPN brands to choose, which will protect your privacy, open up overseas streaming services, and give you great value, too. Here, we’ll cover the top ten VPN offerings to consider when on a budget, and explain which features of a VPN are the most essential. Click each VPN service named here in order to jump directly to our full review. Otherwise, you can scroll down a little to view a graph of the top ten best cheap VPNs, comparing the features and price plans that each has to offer. Finding and ranking the absolute cheapest VPNs wouldn’t be much of a challenge: Their price plans are all available online. But you don’t want the cheapest. You want the best cheap VPN service – the one that balances its cost against the quality of its security, speed, features, and support team. Following a raft of rigorous testing, Tech.co has ranked the best cheap VPNs available on the market, and listed them in the graph here. All these options should satisfy most, but our reigning champion for high quality at a low monthly cost is PureVPN, with NordVPN finishing in second place. PureVPN earns our top recommendation handily. The service will cost you less than three dollars a month, but it delivers on every level, from ease of use to depth of functionality. It also excels in the strength of its security, which includes extra antivirus and adblocking technology that other VPNs won’t include. One useful feature is the ability to convert your PC into a VPN hotspot, which you can then connect to other devices. 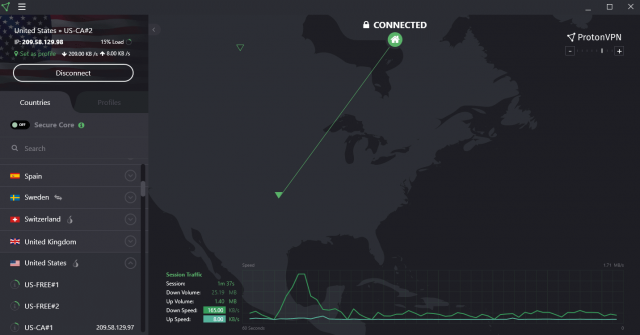 While it’s pretty fast – certainly enough for most users – PureVPN isn’t the absolute fastest. You’ll also need to use its browser extension in order to unlock Netflix, but even that isn’t much of a ding, as only a few VPNs can unlock Netflix at all. 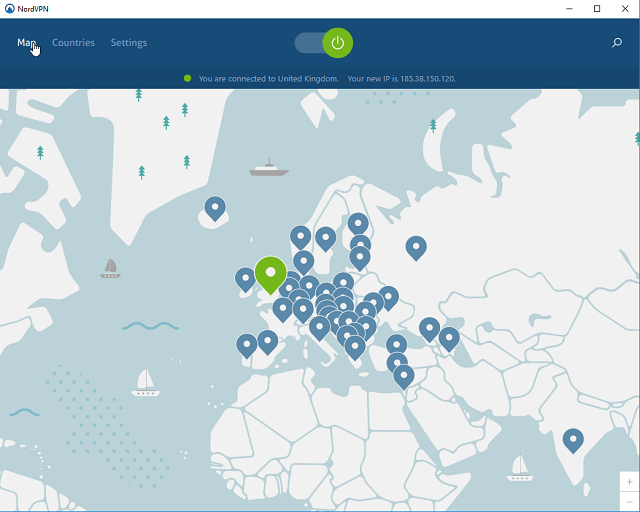 NordVPN runs 3,600 servers in 62 countries across the globe, the most of any service on this list. And despite that impressive reach, it also offers one of the least expensive plans out there, at $3.29 a month – provided you sign up for a three-year commitment. Its service offers plenty of features, alongside the name-brand, high quality security that any VPN user is looking for. It’s speedy, too: Even with transatlantic server link, it keeps steady at about 50% of normal connection speeds. Fast, secure, and inexpensive: That’s a trifecta any VPN user can love. Private Internet Access is another service in the very short list of VPNs that will cost you less than $3 a month on a long-term payment plan. And once again, it operates on an impressive amount of servers: More than 3,081 servers across 28 countries. Speeds are just okay, however. The user interface on the PC app is also a little clunky, with a lot of user-unfriendly text and options. Privacy is often one of the top concerns of anyone considering a VPN, and Ivacy delivers privacy in abundance. It’s also the cheapest VPN on this list, at $2.25 a month provided you’re willing to commit to a two-year plan. However, the service is just average at a few other factors: Its speeds can be choppy, and its range of features is limited. In other words, if you’re a hands-on tinkerer who wants to put in the work to get the best possible experience, Ivacy isn’t for you. However, if you enjoy a secure but simple service at a great price, this one works great. 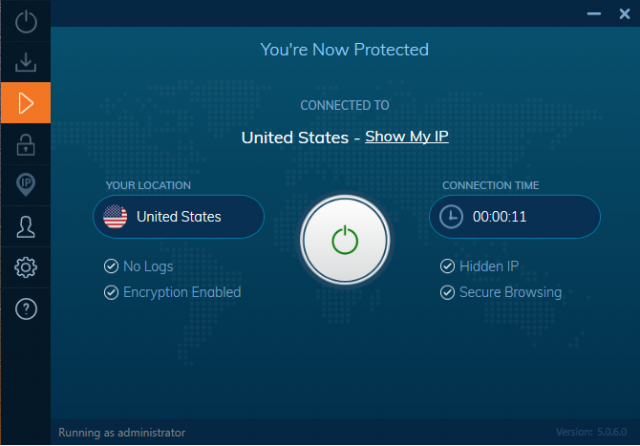 Windscribe is a great VPN for hands-on techies who want all the bells and whistles. 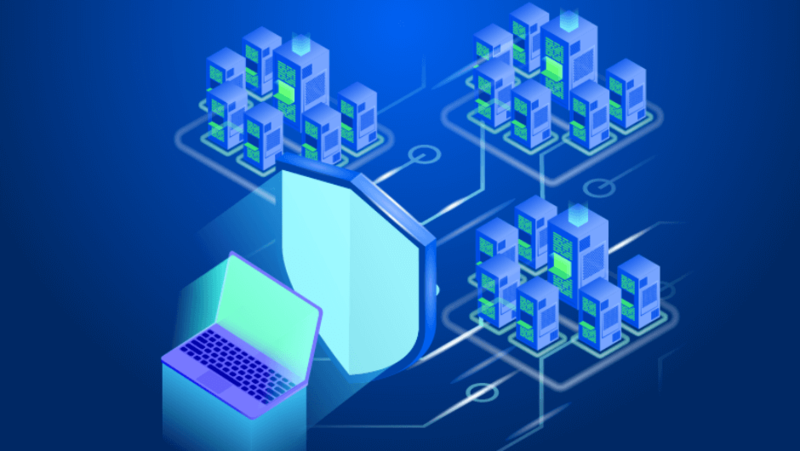 It offers granular settings that let users pick out their own server location and protocol, and delivers access to Netflix in regions that would otherwise be locked. Another bonus: The free tier. Functionality is still limited, but it’s better than most free options from other VPN services, and you can use it indefinitely. The downside to the level of detail Windscribe offers, however, is that it can all get a little intimidating pretty quickly, so newbies won’t be fans. 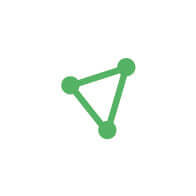 TorGuard – named after its focus on privacy for BitTorrent users – is indeed a very secure option for anyone, and offers the advanced settings that a peer-to-peer file-sharing power user might enjoy. The price tag is $4.12 a month under a two-year plan. While this is certainly not the cheapest plan available, Tech.co’s testers loved TorGuard’s privacy and general ease of use so much that they gave it a full five stars for its cost-value ratio. In other words, it’ll cost a buck a month more than the cheapest options, but it’s worth the price. Proton VPN is another service with detailed settings. Its interface includes regular statistics, such as the user’s current download/upload speeds. Users can also jump between different profiles, with a different protocol, server type and location pre-set for each profile. However, you won’t be able to get past Netflix, and it’s not the speediest VPN out there. It’ll cost $4 a month for just a one-year plan, meaning that you won’t need to commit a very large lump sum in order to get a very good monthly price. Word of warning: Look up which features you can expect from which plan before you sign up. Some features are only available in the premium plans, and at $10/month and $40/month, Proton VPN’s premium prices are sky-high. Hide Me VPN runs slow, and at $4.99 a month under a one-year plan, it’s not the cheapest VPN around, either. It is secure, however, and easy to set up and use. It offers a free plan that’s reasonably good, too, which makes its speed issues a little easier to put up with. One big boon of using this service: It’s good at unlocking most video streaming sites, although it can’t crack Netflix. AirVPN has a great range of features. It’s pretty speedy, and will keep your data private. Better yet, it costs just $2.78 under a two-year plan, making it officially the cheapest VPN on this list! But there’s a catch. It’s a pretty technical VPN is use, and you’ll need a little technical knowledge to even download the right version for the right operating system. The support options are limited to online forums or email, and limited support probably isn’t what you want for a service that’s already so tough to understand. CyberGhost VPN’s ease of use and strong privacy ability make it a good option for VPN newcomers who just want something that works reliablity and isn’t too difficult to get started with. The downside, however, is that this VPN tends to be a little slow, with even a local server connection result in download speed losses that might even top 60%. Also, if you don’t want to commit to the two-year plan, you’ll pay more: The one-year plan comes out to $6 per month, while the month-to-month plan is a pricey $12 per month. Still, you should be able to do most basic internet activities, from streaming video in HD to downloading music, at the pace you need. It’s slow, but should be fast enough for the casual user. 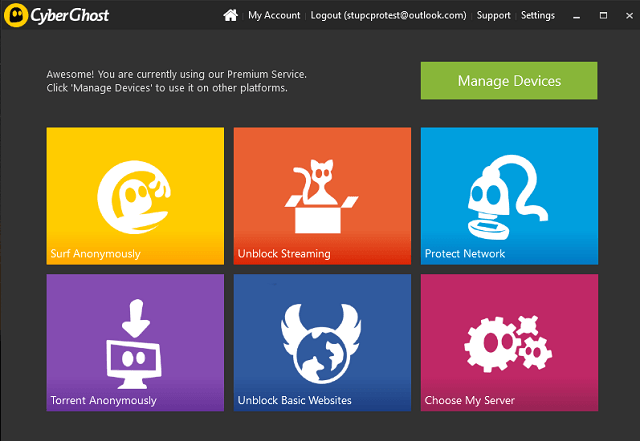 If you’re a tech newbie who just wants a cheap, dependable service, CyberGhost’s $3.50 a month two-year plan should hit the spot. When you’re combing through the options in search of the perfect VPN for you, the cost shouldn’t be your only consideration. After all, it doesn’t matter how little you’re paying if the service you get doesn’t let you browse the internet the way you want. Number of devices covered by plan — Most plans will cover up to five devices. Depending on the size of your family, you might need more or fewer. Reasonable data limits — After you’ve passed your monthly data cap, your bandwidth could be throttled, depending on your VPN’s policy. Number of servers used — With more servers, you’ll be able to connect faster; with a greater number of countries, you’ll be able to access more region-locked content. Killswitch — This is an essential security function: A killswitch automatically shuts down your internet if your secure VPN connection drops, ensuring that you never browse unsecured. Help and support options — Is the service’s support team available by email, phone, and/or live chat? Do they have a solid reputation? Are you a self-starter who needs an extensive online help center? If cheap VPNs are good, free VPNs must be better, right? Not quite. Just as you might be skeptical of a free lunch, or a free car that’s not from Oprah, the selection of free VPNs out there leaves a lot to be desired. Granted, it’s not impossible to find one that works. But the inevitable trade-offs include data limitations and device limitations, which often allow you to only use one phone or a single browser securely. You’re also likely to face additional banner ads or pop-ups for the privilege. Worst of all, security standards generally aren’t as great for free VPNs as for paid ones. You won’t necessarily see your data breached, but you can’t be quite as sure that you’re safe. The Hola VPN hack is just one recent example of a free VPN that failed at the one thing its users trusted it to do: Keep their data secure. While plenty of free online services are worth checking out, VPNs are one sector that you’ll likely want to open your wallet for.